Denver Homeowners - What do they pay on their mortgages each month? What do Denver Homeowners pay for their Mortgage Expenses? Buyers, aspiring to be Denver Homeowners, have many questions concerning mortgage expenses involved in a home purchase. What kind of monthly mortgage expense should a prospective buyer anticipate? How much are Denver Homeowners actually spending each month on their home mortgages? The monthly mortgage payment for most homeowners is of vital importance in any decision to buy a home. What percentage of a homeowner’s income needs to be set aside for the mortgage payment? What is most affordable? How do Denver Homeowners costs compare to the costs of home ownership in other cities in Colorado? On average, Denver Homeowners can expect to spend 25% of gross income on their mortgage payments – some what higher than the actual national average. Nationally, homeowners spend 14.6 – 22.5% of their income on home mortgage payments. In Denver, anticipate at least 25% of your income will need to be factored in to your budget. Denver enjoys a high quality lifestyle to offer to its residents across the board. Arts, music, entertainment, golf, swimming, biking, car racing, flying, hiking, sports – you can find something for everyone in Denver. Nothing is more appealing, however, than the opportunity for steadily increasing employment choices that are available in Denver, in this author’s humble opinion. From starter homes to luxury estates, Denver has a home choice you can fall in love with. Just know that greater employment opportunity is the impetus to high housing demand – which increases list prices on homes across the state. The other side of that to consider? Resale inventory is at a historic low, while relocation demand is increasing – resulting in higher home prices. Denver homes, overall, increased substantially in the home resale market last year, with the median price rising to $345,000, an increase of 11.3 percent. 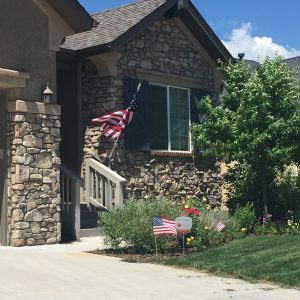 Some Denver suburbs can be more affordable, like the city of Highlands Ranch. Homeowners enjoy monthly mortgage expenses of only 16.3% in Highlands Ranch, a highly desirable city in the southern Metro Denver area – which is graced with starter to luxury homes (and did I mention fantastic employment opportunities?) and mountain views no matter which direction you look – with quick access to I-25. The future is happening here in Denver – come share in the experience of amazing possibilities. Integrity You can Trust in….Results You can Count on!